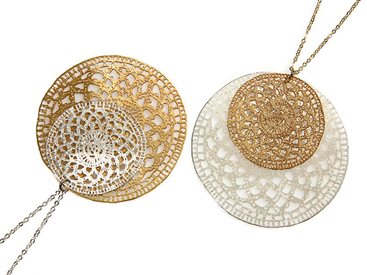 I am fascinated by the work of Israeli textile designer Inbar Shahak. 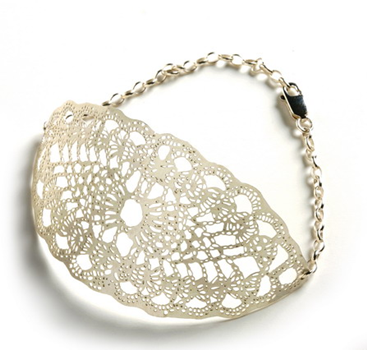 Using traditional textile techniques, Inbar creates hand crafted jewelry that mirrors patterns found in Victorian lace. Her creations are truly unique, fusing delicate crocheting techniques with modern materials. 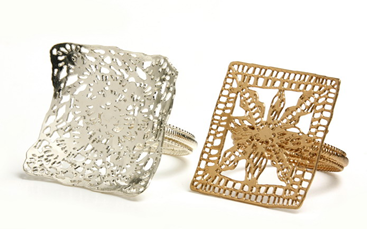 The results are glamorous – pieces that have been woven out of pure silver. 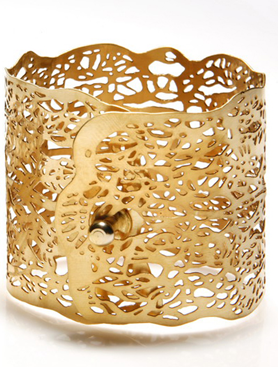 See more of Inbar’s gorgeous textile-inspired jewels at erayo.com. Stunning! Im a silver girl – but would consider changing my life to wear these gold gorgeousies! 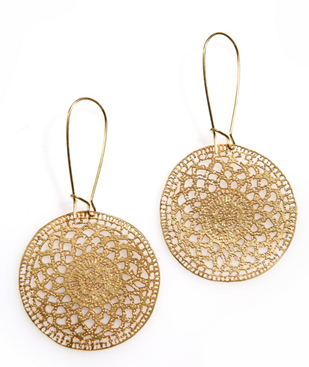 – I think the gold looks more beautiful with these intricate beauties! Lovely. The intricacy is fantastic. OH. MY. GOODNESS. I need that cuff and the rings! I agree. The gold is just gorgeous. It really shows off the details.